BRYAN EATON/Staff photo. Massachusetts Lt. 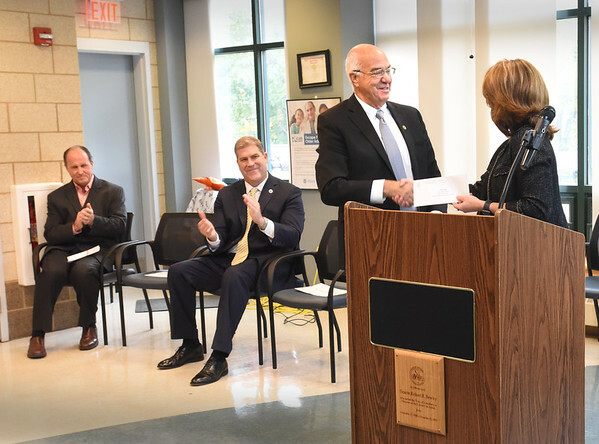 Governor Karyn Polito presents a grant to Mayor Ken Gray for the city of Amesbury to make infrasture improvements to the South Hunt Road area where a new hockey complex is planned. On left is Steve Callahan of Global Property Development who is doing the project, and state Rep. James Kelcourse.